Trees add to the beauty and greenery of your property, provide shade and help cool the temperature. Aside from this, they breathe out oxygen into the air which makes the air in your immediate vicinity fresher as well. It’s rare to find a property owner that would want to cut down the trees on their property, but trees can sometimes become problematic and pruning becomes necessary to keep their growth in check. This is when you start looking for tree pruning Woollahra companies in your local area. 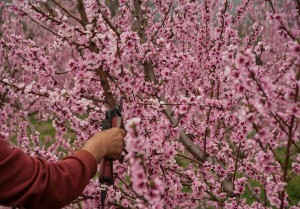 When you are looking for a tree pruning Woollahra service, you need to be assured that the company you hire would be able to handle the job safely and efficiently. We at North Beaches Tree and Garden Services have been operating in this space for over 15 years and cater to both residential and commercial customers. We are highly committed to our work and focus on providing our clients value for money with our custom, tree pruning and removal service in Woollahra. We have created a distinct niche for ourselves and provide excellent, safe and affordable tree pruning Woollahra service. For any more information feel free to call North Beaches Tree and Garden Services on 0425 804 830. You can also request a FREE no-obligation quote via this form or even send us any queries you may have.